Matt started his career with an education in Sport & Exercise Science at the University of Birmingham, where he completed his Bachelor from 2010 – 2013, and followed up with a Master from 2013 – 2015. 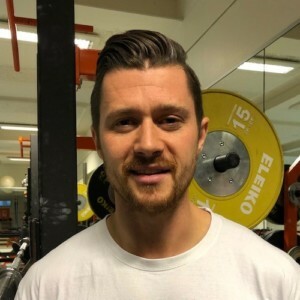 After the completion of his studies, Matt wanted to make a start into Strength & Conditioning and volunteered as a Strength & Conditioning Coach at the professional football club Vitesse Arnhem. He delivered Strength & Conditioning to the academy teams, and partially to the first team. Matt took up a position as a Lead Strength & Conditioning Coach with the football first division football Club SC Telstar, before he got an offer as the Lead Academy Sport Scientist and Strength & Conditioning Coach at the Al Shabab Al Arabi Club in the United Arab Emirates from 2016 to 2017, where he was responsible for the U-19 and U-21 teams. Next to the delivery of the Strength & Conditioning sessions, he was also responsible for creating a long term development plan for high potential players and monitored the football players performance through GPS technology and wellness data. After one successful season at Al Shabab Al Arabi Club, Matt wanted to gain experience outside football and took a work experience placement as a Strength & Conditioning Coach with the National Olympic Committee of the Netherlands (NOC*NSF) assisting 4 Olympic Strength & Conditioning Coaches across 9 olympic and paralympic sports. In the beginning of 2018, Matt got offered a position as an interim Strength & Conditioning Coach at the Delft University of Technology supporting the first division Rugby team of the Delft University of Technology. In addition to that, Matt got offered a post as Media Manager at Science for Sport, where he created Infographics summarizing the latest research, as well as review articles surrounding a broad spectrum of Strength & Conditioning and Sports Science topics. Over time, Matt’s responsibilities at Science for Sports has grown, and he now manages the membership groups and produces video and audio material for the Science for Sport membership community. Matt’s effort during his work experience placement National Olympic Committee of the Netherlands paid off, and he joined the Team NL (Olympic Team of the Netherlands) as a full-time Strength & Conditioning Coach in June 2018, where he supports the development teams of Handball, Table Tennis and Paralympic Cycling, and the High-Performance team of Paralympic Table Tennis.